Finally posting scores from the AIM/ATA Alabama State Shoot this past weekend. Our Team did very well for our first state shoot. The competition was fierce, but we stuck it out and brought home some bling to show for it. Our JR Singles squad won 3rd place medals with a 411! Landon shot 88 in Singles Saturday afternoon, 74 in Doubles and 75 in Handicap Sunday morning. 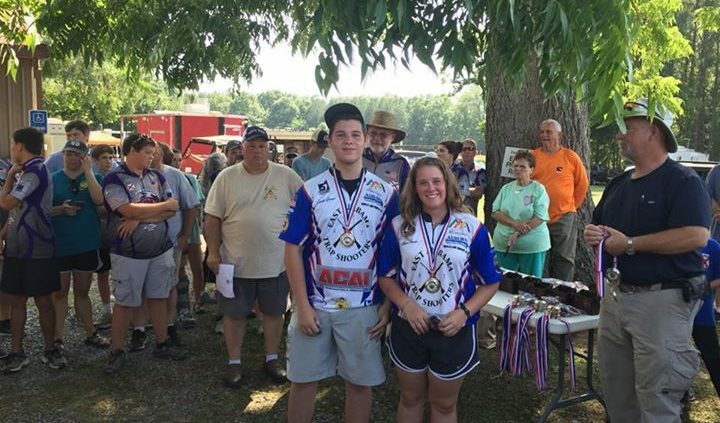 He was penalized in doubles and handicap due to not having enough registered birds before the state shoot. Caps were from the 23 yard line (normally shoots from the 20) and shot in B class for doubles. Allison shot 369/400 Singles, 232/300 Doubles and 263/300 Handicap to take Lady 1 Singles and Doubles Champ for the event. Way to go!!! We also had another great performance by one of our Teammates. Rivers shot 41 out of 100 in Singles! That may not sound like that a great a score to the champions from the weekend, but let me put something into perspective. Rivers joined our Team about 2 months ago having never shot Trap before in his life. He has come to practice and worked his tail off, even going and practicing as he and his family were able before the state shoot. He’s eager and excited to stand on the line and do his best every time. Oh, did I mention he’s 7… Glad to have him and all our Team members! Keep up the great work! 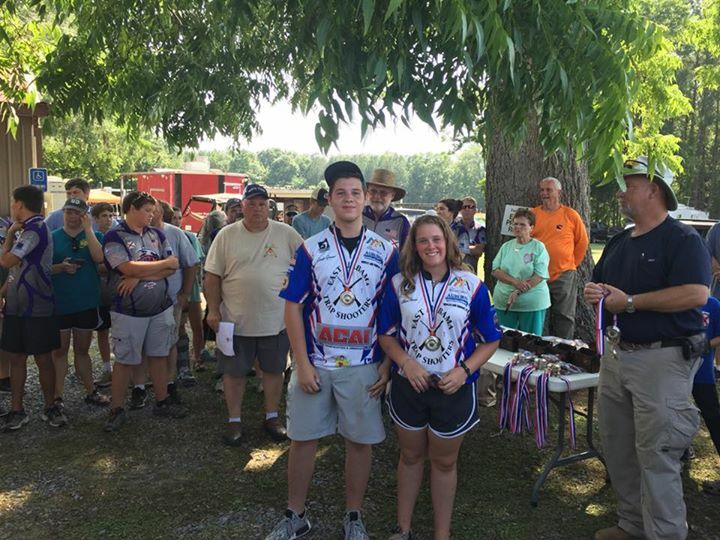 To quote a special friend to our Team, Tom Yeager said “Our kids don’t get high on drugs, they get their high from gun powder and lead!” All of the youth at the state shoot are great examples that the youth of today could learn a lesson from. Take your kids to the range and introduce them to the shotgun sports. You won’t regret it. #2A all the way!